Recent events Victoria attended are listed below. For current events, visit the events page. If you have an event you think Victoria might wish to attend, get in touch! UPDATE: Unfortunately this event has been cancelled by the organisers. 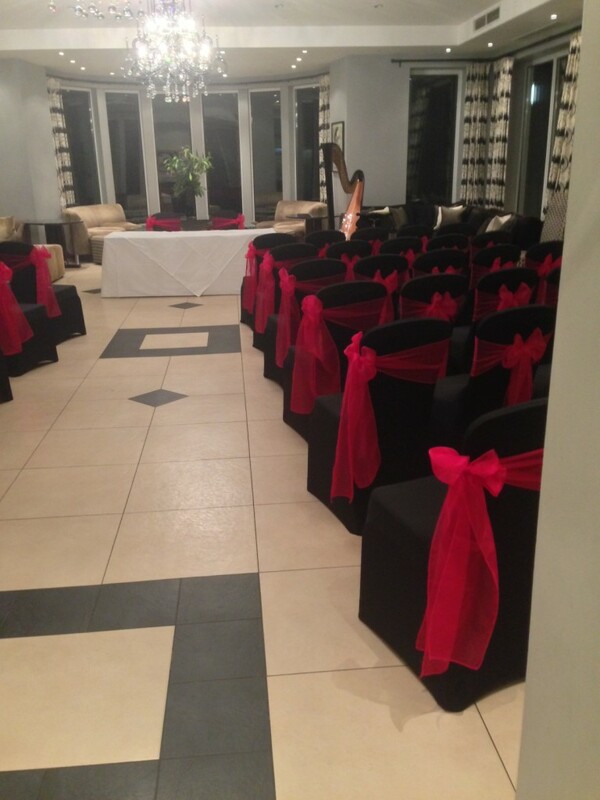 Victoria will be playing Wedding Harp music in the Orangery at the Spa Hotel for the Bridal Evening from 5.30-7.30pm on Thursday 25th February. Victoria will be playing the harp for the Hotel du Vin Wedding Fair on Sunday 21st February 10:30am -3:30pm. Please come along and discuss your Wedding requirements, listen to harp music and enjoy looking around and meeting other wedding suppliers. 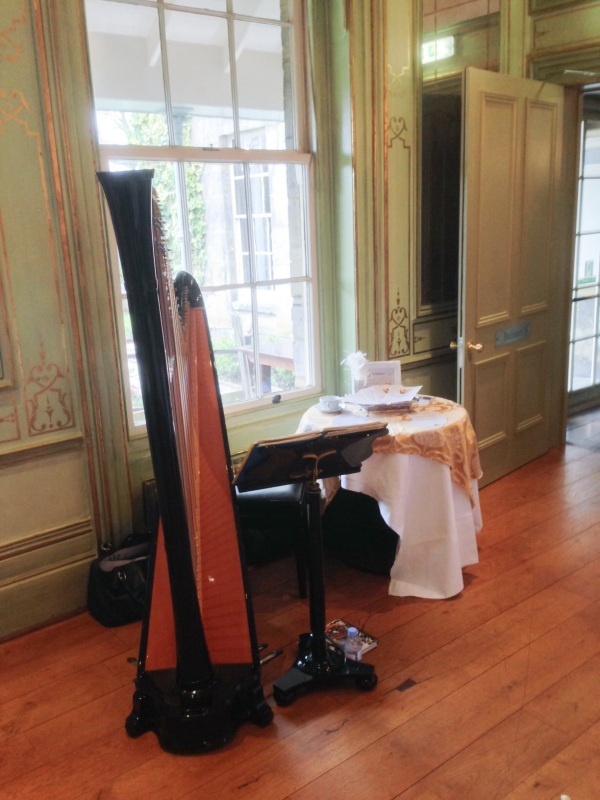 Victoria will be playing the harp for the Hotel du Vin Wedding Fair on Sunday 4th October 10:30am -3:30pm. Victoria will be playing Wedding Harp music in the Orangery at the Spa Hotel for the Bridal Evening from 5.30-7.30pm on Thursday 17th September. Victoria will be playing Wedding Harp music in the Orangery at the Spa Hotel for the Bridal Evening from 5.30-7.30pm on Thursday 20th August. Victoria played a private party for Baldwin’s Travel Agency on the 23rd July. 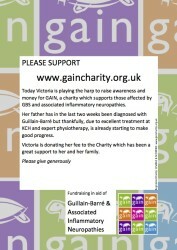 Victoria played the harp to raise awareness and money for GAIN, a charity which supports those affected by GBS and associated inflammatory neuropathies. Her father has in the last two weeks been diagnosed with Guillain-Barré but thankfully, due to excellent treatment at KCH and expert physiotherapy, is already starting to make good progress. Victoria is donating her fee to the Charity which has been a great support to her and her family. Victoria played for Mothers Day Tea in the newly refurbished lobby at the Spa Hotel. 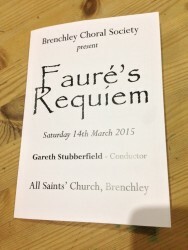 Victoria played for the Brenchley Choral Society’s performance of Fauré’s Requiem on Saturday 14th March. Victoria will be playing for afternoon tea at Scallywag Café on Mount Ephraim in Tunbridge Wells, on Sunday 8th March, between 4pm and 6pm. 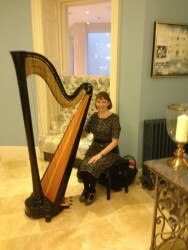 Victoria will be playing Wedding Harp music in the Orangery at the Spa Hotel Wedding Fair, Sunday 1st March, 11am-4pm. 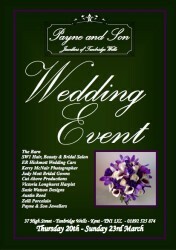 Victoria will be playing the harp for the Hotel du Vin Wedding Fair on Sunday 22nd February 10:30am -3:30pm. Please come along and discuss your Wedding requirements and enjoy a look around, meet other wedding suppliers, and listen to harp music as you sip champagne… tempting! 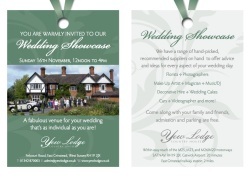 Victoria will be exhibiting at the wedding fair at Yew Lodge, East Grinstead on Sunday, 16th of November. Victoria will be playing; come and ask to hear your favourite wedding piece! Grandparents Day at The Mead School. Victoria accompanied singing school children in a performance of “Puff The Magic Dragon” at The Mead School on Monday 10th November, for Grandparents Day. Victoria played for Lucy’s wedding at Penshurst Place on Saturday 8th November. 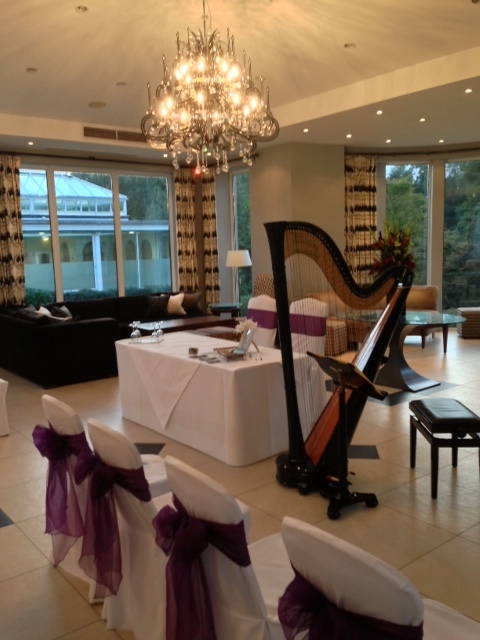 Victoria played for Joanna’s wedding at the Spa Hotel, Tunbridge Wells, on Sunday 2nd November. Victoria will be playing Wedding Harp music in the Orangery at the Spa Hotel Wedding Fair, Sunday 5th October, 11am-3pm. Victoria will be playing on the Bandstand at The Pantiles as part of the Sunday Classical series. Victoria played for Michaela’s wedding at Wadhurst Castle on Saturday 13th September. Victoria played for Karen’s wedding at Hotel du Vin, Tunbridge Wells, on Friday 12th September. Victoria played for Jo’s wedding at Lewes Castle on Sunday 7th September. Victoria played for Kate’s wedding at Horsted Place Hotel on Saturday 6th September. 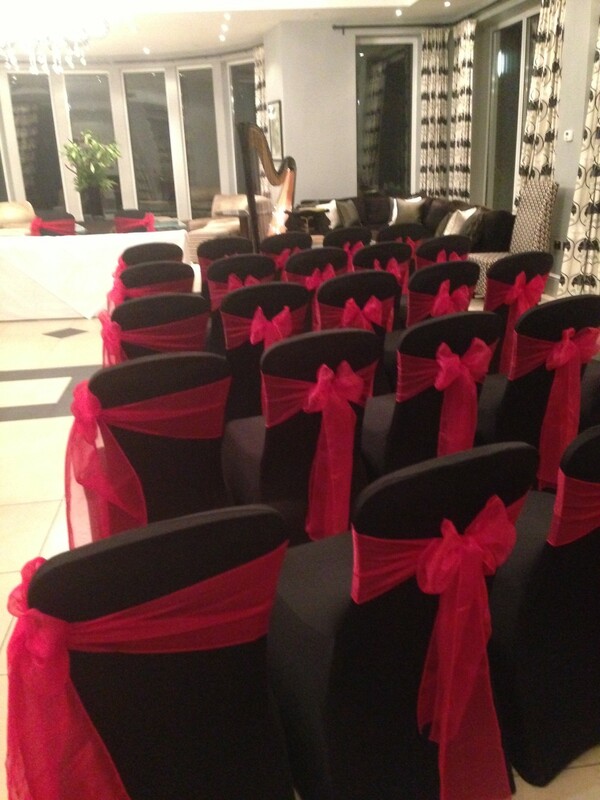 Victoria played for Charlotte’s wedding at the Spa Hotel, Tunbridge Wells, on Friday 5th September. Victoria will be playing Wedding Harp music in the Orangery at the Spa Hotel for the Bridal Evening from 5.30-7.30pm on Thursday 14th August. Victoria played for Rachel and Sam’s wedding at Penshurst Church on Saturday 9th August. Victoria played at a garden party for John on Saturday 19th July. Victoria played for Ges’s wedding at Buxted Park Hotel, Uckfield, on the 3rd of July. Victoria played for Sam’s wedding at the Spa Hotel, Tunbridge Wells, on Friday 27th June. Victoria played for Mary’s wedding at Smallfield Place on Saturday 21st June. Victoria played for Anne Marie’s wedding at the Spa Hotel, Tunbridge Wells, on Saturday 14th June. Victoria will be attending (and performing) at the Chiddingstone Castle Wedding Fair on the 23rd of March, from 11am to 4pm. Victoria will be exhibiting at the Payne and Son Wedding Event on the High Street in Tunbridge Wells from Thursday to Saturday 20th-2nd March. The saturday event will include a performance by Victoria between 2pm and 4pm. Victoria will be exhibiting at the Payne and Son Wedding Event on the High Street in Tunbridge Wells from Thursday to Saturday 20th-22nd March. 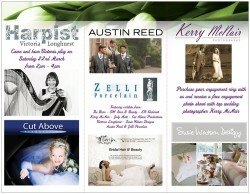 Victoria will be playing Wedding Harp music in the Orangery at the Spa Hotel Wedding Fair, Sunday 2nd March, 11am-3pm. 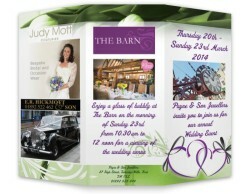 Victoria will be playing the harp for the Hotel du Vin Wedding Fair on Sunday 23rd February 10:30am -3pm. Book your table for champagne afternoon tea at La Roche, Tunbridge Wells on Friday 14th February from 2:30-5:30pm. 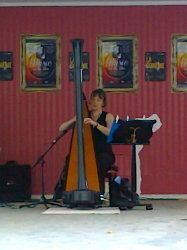 Victoria will be playing romantic harp music to help you celebrate Valentine’s Day in style! Visit the La Roche website for contact details. Victoria will be playing Wedding Harp music in the Orangery at the Spa Hotel for the Bridal Evening from 5.30-7.30pm on Thursday 16th January. Victoria is delighted to be invited to play the harp for the Hotel du Vin Bridal Evening on Wednesday 16th October 5-8pm. 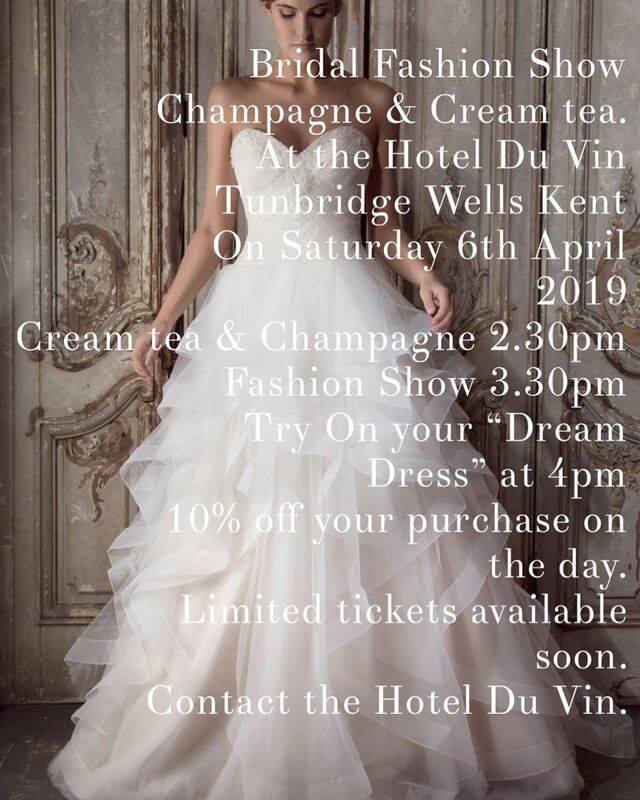 Please come along and discuss your Wedding requirements and enjoy a look around and listen to harp music in the lobby as you sip champagne…..tempting! Victoria is playing at the Wedding Fair from 11-3pm. Do you have a special celebration coming up, why not enhance it with some beautifully chosen harp music? Victoria will be attending the Creative Brides wedding fair on the 21st of September. 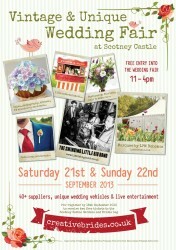 The exciting venue is Scotney Castle, near Lamberhurst! Victoria is playing for Kelly’s Wedding. Beautiful Speldhurst Church, Schubert’s Ave Maria, during the signing of the register and afterwards for the Wedding Drinks Reception to be held at The Spa Hotel. Victoria has been asked to play for afternoon tea at the Palm Court of the Sheraton Hotel on Park Lane, on the 27th of June from 3pm to 6pm. Victoria will be playing at The Spa Hotel Bridal Evening in Tunbridge Wells on Thursday 20th of June 2013 from 5:30pm to 7pm. Victoria has been asked to play for afternoon tea at the Palm Court of the Sheraton Hotel on Park Lane, on the 2nd of June from 3pm to 6pm. Victoria is playing an extra performance at Signor Franco on the High Street in Tunbridge Wells, on Thursday 2nd May from 7pm. Victoria is playing at Signor Franco on the High Street in Tunbridge Wells, every Thursday in April, from 7pm-10pm. Victoria will be playing at the Hotel du Vin Wedding Fair in Tunbridge Wells on Sunday 24th march 2013. Victoria will be playing at The Spa Hotel Wedding Fair in Tunbridge Wells on Sunday 3rd March 2013. Victoria will be playing at the Spa Hotel Bridal Evening on Thursday 17th January 2013. 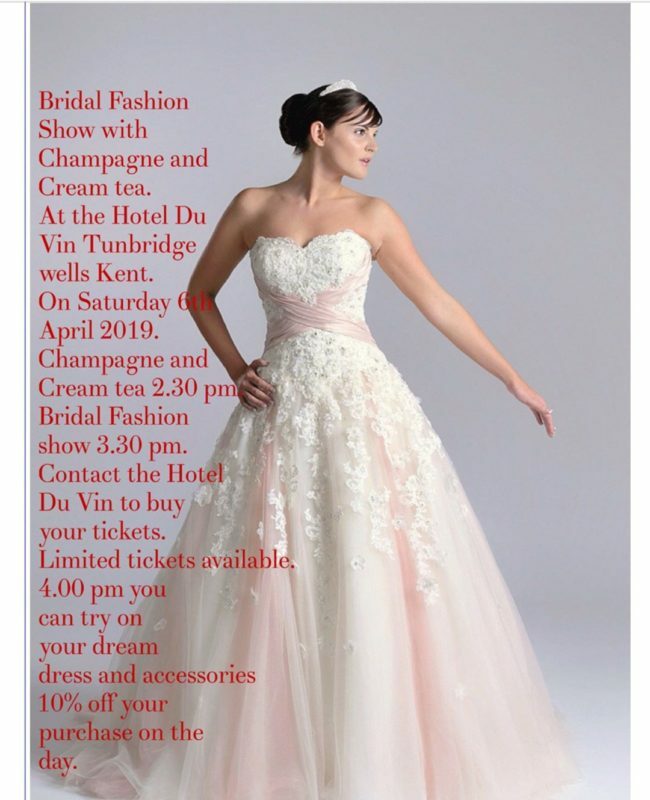 Victoria has been invited to play at the Hotel du Vin Bridal Evening, when brides and grooms, already booked at the venue and other prospective couples can see the Hotel “dressed” for a Civil Ceremony, Drinks Reception, Wedding Breakfast and discuss menu and drinks choices…. Victoria is playing for Sarah today at the Hotel du Vin. Drinks Reception in the Tea Lounge…..